Amidst pandemonium regarding the contentious Citizenship (Amendment) Bill, 2016, the Rajya Sabha was adjourned on Tuesday. The Upper House of the Parliament has been adjourned till February 13, 11 am. Union home minister Rajnath Singh was supposed to table the controversial citizenship bill despite earlier assurances of taking a concensus on the bill. Meanwhile, the Northeast which was already on the boil has erupted in unison crying foul over the Central Government’s attitude of always disrespecting the region and taking decisions against the will of the people of the north-eastern region. It is noteworthy that several leaders from political parties of the region are holed up in the national capital along with representatives of various students organizations and indigenous bodies of Assam in particular and the Northeast in general including the North East Students Organization (NESO), All Assam Students Union (AASU), Krishak Mukti Sangram Samiti (KMSS) and others. Meghalaya chief minister Conrad Sangma was already in New Delhi to persuade national party leaders to oppose the bill in the Rajya Sabha. 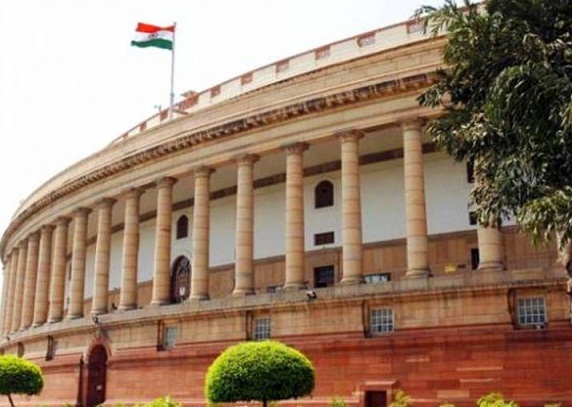 Even Manipur and Arunachal Pradesh chief ministers, N Biren Singh and Pema Khandu who belongs to the Bharatiya Janata Party (BJP) has openly opposed the bill on Monday. Notably, Rajnath Singh on Monday gave a miss to the proposed meeting with the chief ministers of the north-eastern region giving clear indication that the central government and the BJP are hell bound in passing the contentious bill to facilitate granting citizenship to the non-Muslims from Bangladesh, Pakistan and Afghanistan seeking refuge in the country.